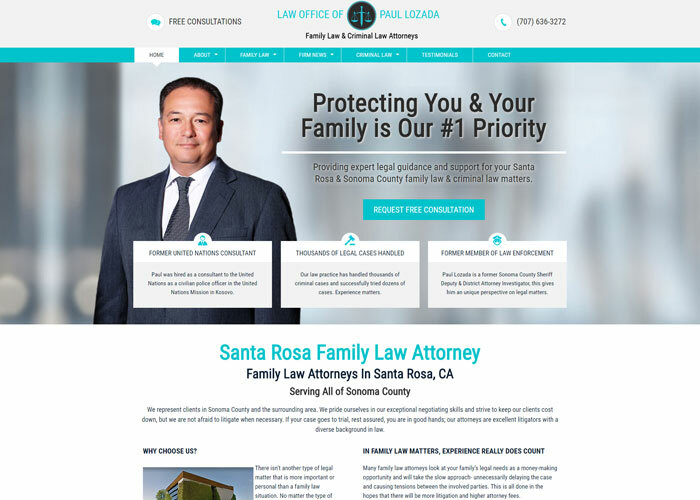 Santa Rosa Divorce Lawyer Paul Lozada has been protecting Californian’s for over a decade. We pride ourselves on providing the best possible professional and personal attention to our clients. When you hire our firm, you get a skilled and well-respected legal team in the Santa Rosa area.